I am glad to see you and the Blogg are still alive and kicking, this one got a bit worried when there was such a gap in posts. 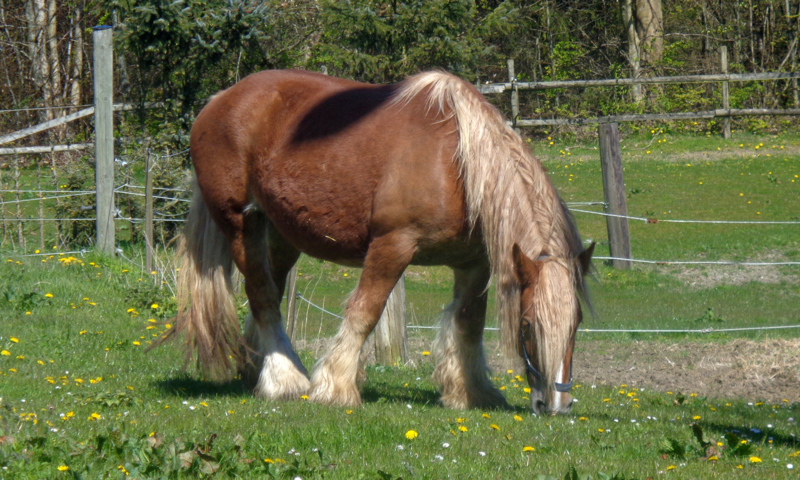 Shame to see that Emilie came down with laminitis and shame about your own health as well. I’ll be sending a prayer to the great Horse Lords in the sky for her swift recovery. I’ll be sending one for your health as well. Worries and prayers aside, love all the pictures posted since your return, be they Christmas art, horses or wild animals.Hopefully there will be lots of new pictures to come in the future, eh? I need more of your small horse comics darn it. With best regards, Erik from Sweden. Thank you! Emilie is fortunately doing a lot better and has been allowed to return to pasture — though with a mouthguard so we can control her sugar intake from the grass. I posted a horse comic today! Honest! Still trying to decide whether to do them in watercolour or on the computer, though. Previous PostPrevious Bigger is better! Next PostNext Pony Sez #36: Yuck!